Its not exactly an earth shattering revelation that we sometimes have dryness in our devotions. Sometimes God does His best purifying work in our souls during the time we are in the desert. How are we going to learn to walk by Faith (which is a theological, God-directed virtue) if we are always hankering after consolations and mystical experience? Ask Blessed Mother Teresa whose “dark night” extended two decades. 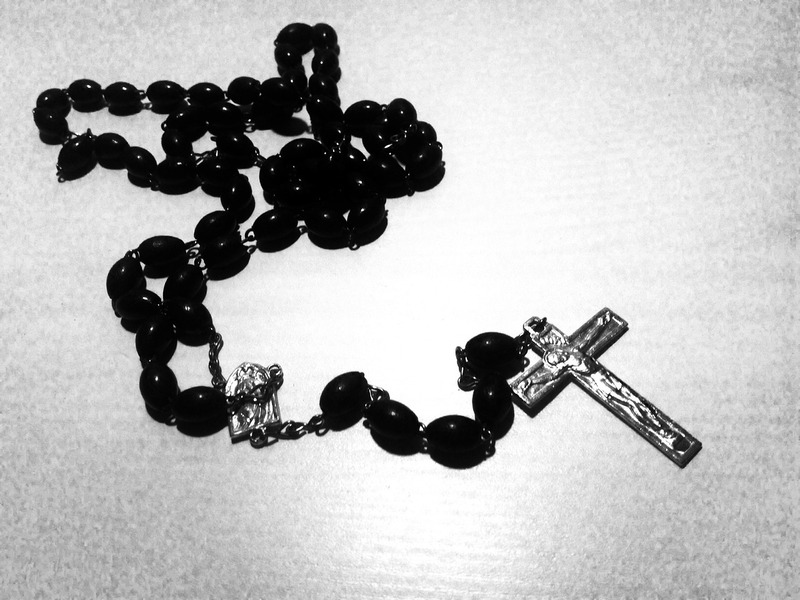 But she never stopped saying her Rosary. If Saint Louis de Montfort maintains that a strong devotion to the Rosary is a sign of Predestination, consider it a strong delusion if someone should persuade you to slack off on the Rosary. The devil makes saying the Rosary a special object of repugnance, says a great spiritual writer, because of all the good the Rosary does for us. Dear God, what do we need more in these troubled times than perseverance in the Rosary! I’m sure that when dedicated long distance runners go on a run they don’t always experience that runner’s high you read about, but that doesn’t mean a long and painful run doesn’t do them good. It is probably that long and painful run that does them the most good, preparing them to endure the Boston Marathon at its most difficult moments. In practicing spiritual discernment consider all the great things that Saints and Popes and great spiritual writers have said about the Rosary! Consider what Mary asked of us at Fatima. The Rosary is our “chain of perseverance.” This is not the time to go light on the Rosary. Say it with special love during those times of dryness. The spiritual life is ultimately lived in the will rather than the emotions. And emotional life is beautifully purified when the will is made holy. Ref. In notes published after his death, the following was said by Father Faber: “In consequence of all these blessings [from saying the Rosary], the devil makes the Rosary a special subject of temptations, weariness, contempt, and the like. Persevere in it, and it will itself be the chain of your own final perseverance.” He also calls the rosary “an instrument of power” (Notes on Doctrinal and Spiritual Subjects, p. 308). Three things to ask in our discernment are: Is this thought or suggestion from the Holy Spirit? ; Or from my fallen human nature? ; Or from the deceptive spirit, the Father of lies?